Saturday, August 27, 1859.Springfield, IL. 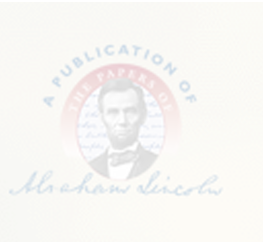 Lincoln writes answer of Caleb K. Lucas in Reed et al. v. Mann et al., Logan County case, signs "Lincoln & Herndon, for Respondent," and dispatches it to Lincoln. Photocopy.